Magnetic Tool Holders are suitable for securing tools and metallic objects. Perfect for use in the garage, workshops, service station. Powerful Rare Earth magnets inside. 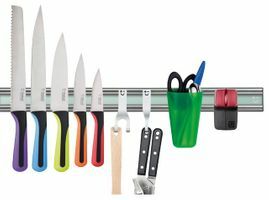 Store everything from scissors and kitchen knives to wrenches and small parts with the durable magnetic strip built into the tool holder. Magnetic Tool Holders are commonly used by tinkerers in the shed, mechanics in the garage, craftspeople in the studio and tradespeople at their station. Skilled workers cannot waste time playing hide and seek with screwdrivers, spanners, sewing needles and set squares! Like another pair of hands, these magnetic sections can hold screws and hinges, nails, needles, pins and other ferrous metallic objects in plain sight. These fasteners, suspended within easy reach of one hand, present an easy target on the magnetic tool rack while your other hand holds in place the work in progress. Magnetic Tool Holders are ideal for securing screws, scissors and metallic objects! 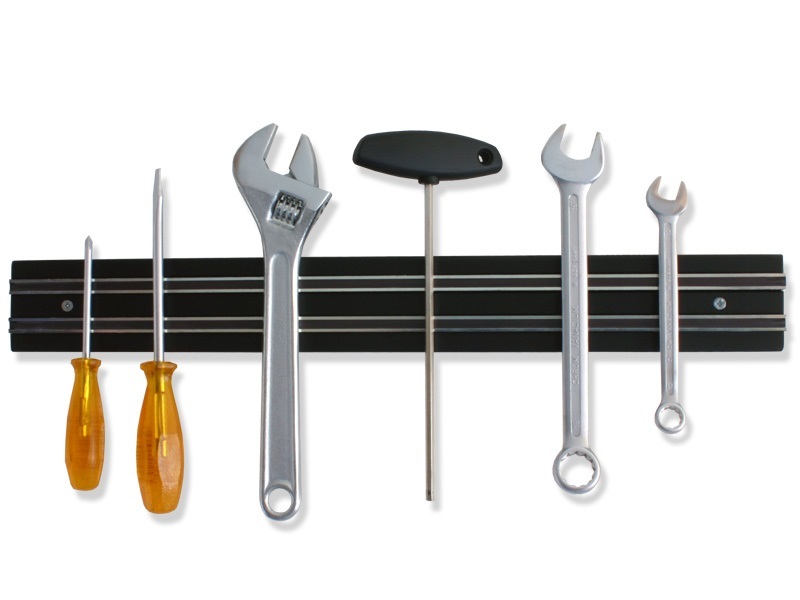 Displaying hand tools in the retail space via magnetic agency highlights the tools availability and desirability. Encouraging a tactile engagement, magnetic display of precision tools adds to their utility and inspires the impulse to have and to hold. People who make things through the agency of tools need to be able to find them easily. Safe and secure, housed in this manner tools are easy to find, retrieve and replace. Our tool racks are great for saving space. 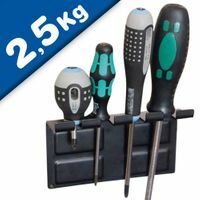 A practical magnetic solution for keeping most often used tools close at hand. 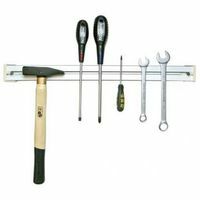 Consider organising your tools and implements with AMF magnetic sections in your home or other workspace. Available in bold stainless steel, timber decorated, traditional black or modern white, these magnetic tool holders or racks are easy to attach wherever they are desired using the accompanying screws. Who supplies high quality Magnetic Knife Holder / Tool Holder? Magnosphere offers best priced Magnetic Knife Holder / Tool Holder globally to all industries, including Automotive, Aerospace, Military, Advertising, Design House, Electronic and Academic/R&D. Please inquire for custom Neodymium magnets or magnetic assembly. 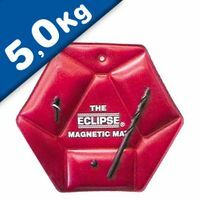 Buy Magnetic Knife Holder / Tool Holder at Magnosphere and get a better deal!